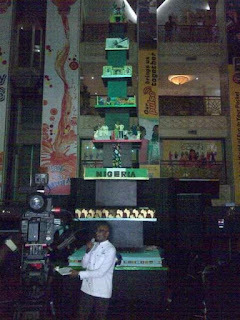 The tallest cake in Africa was unveiled yesterday at silver bird galleria Lagos by Nigerian sugar craft maestro Tosan Jemide of Cakes by Tosan. 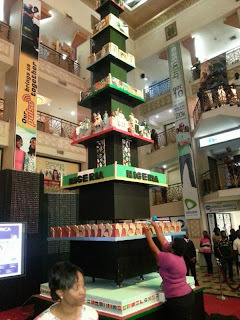 According to Nairaland, He unveiled his anticipated project "The Tallest Cake in Africa"
The 28 feet master creation according to Tosan, was inspired by his love for arts and crafts, passion for Nigeria, desire to blaze the trail, thinking not outside the box but without the box as well as his understanding of the focus on Africa. 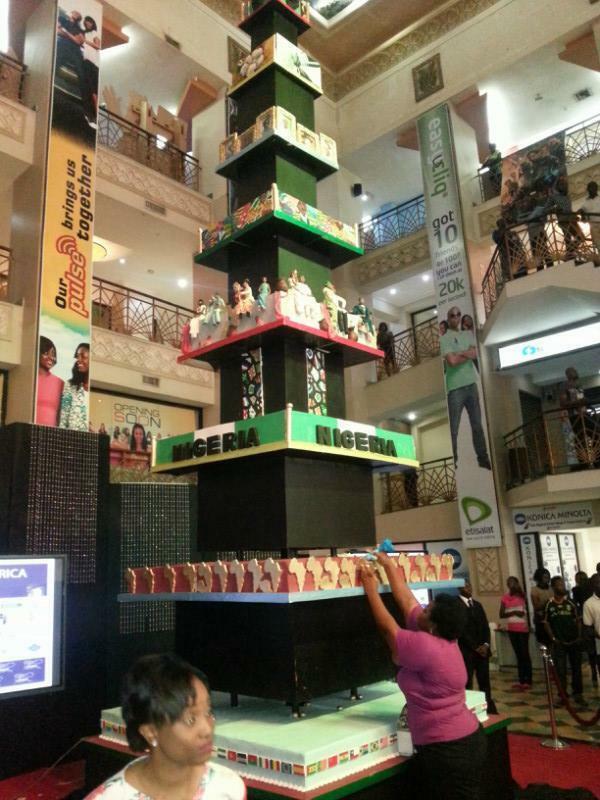 I hope it tastes yummy as well, nice work tho!